Poignant, immersive, and absolutely transfixing, Nora Keyes’ “Kingdom of the Sun” is a tapestry of hope woven through heartache and grief. Out of pain, the artist has found beauty. Are we angels? Are we beasts? Atwood Magazine is proud to be premiering “Kingdom of the Sun,” the latest single off Nora Keyes & The Rococo Jet’s upcoming album, Mysterium Tremens (out October 12, 2018 via Godyssey Music). A longtime member of Los Angeles’ underground music scene with five full-length records to her name, Nora Keyes is musically bold, experimental, and open-minded. In an increasingly homogenous music world, her work pushes the boundaries of possibility and challenges listeners to expand our field of focus. Call it what you will – folk; experimental; ethereal psyche; “a cosmic soundtrack through the individual’s grieving process” – Mysterium Tremens is a fascinating musical and emotional experience. 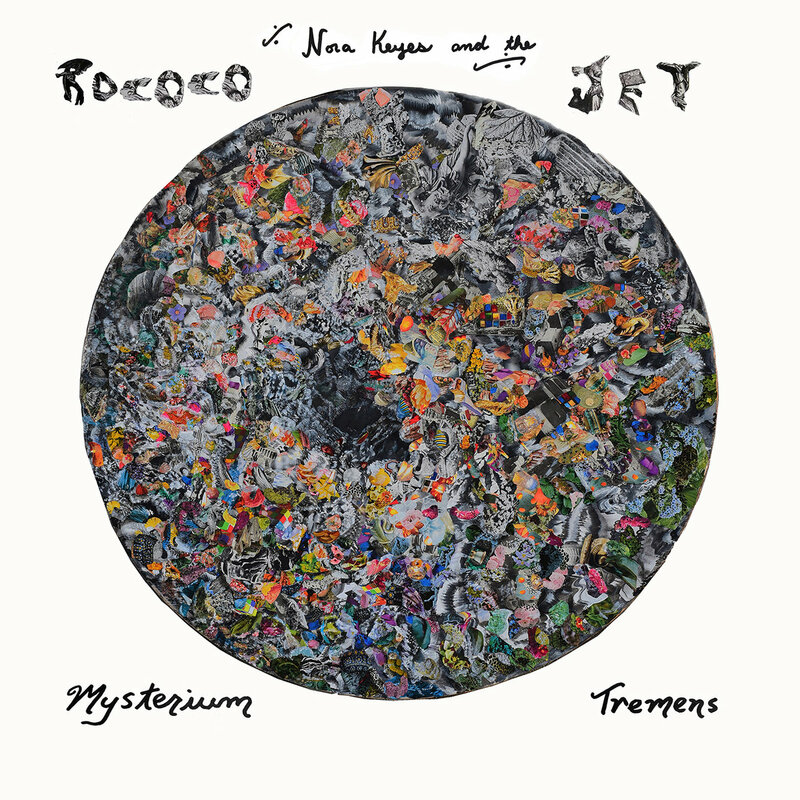 Created with “The Rococo Jet,” bandmates from previous projects including Rebecca Lynn, Jack Name, Mitchell Brown, and John Perreira, with Jimi Cabeza de Vaca collaborating on orchestration, Mysterium Tremens took nearly two years to make. The album offers within its sonic folds a deep exploration of perception and experience, meaning and purpose, death and life. No track better captures the immensity and importance of these topics than “Kingdom of the Sun,” an eight-and-a-half minute long waterfall of fragility and strength. This is my prayer for a nurturing future culture world where virtues like Love, Truth, and Beauty are cultivated and valued. “To the Kingdom of the Sun, all is golden, all is one,” Keyes sings in a mystical, shiver-inducing chorus. “Love, Truth, & Beauty reign, Heaven / Earth are the same.” Her words, angelic and full of grace, radiate with a sense of purpose. Some might hear them as a prayer; others, a call-to-action. Nevertheless, the message remains the same. Meanwhile, the song’s celestial quality feels like an attempt by the artist to connect with another realm; to bring the spiritual world a little closer to our physical one. Entrancing vocal harmonies lift up from lilting piano lines to ensnare us in an intoxicating breath of warmth and light. By the track’s end, we’re left dazed but spiritually revitalized: Nora Keyes & The Rococo Jet may not have answers to death and dying situations, but their music offers a means of appreciating the grieving process itself; of recognizing our shared mortality, and the power of life. If this is what we’ve got, then it’s up to each of us to help make this world a special place for all who inhabit it. Mysterium Tremens is out October 12, 2018 via Godyssey Music. Stream “Kingdom of the Sun” exclusively on Atwood Magazine!